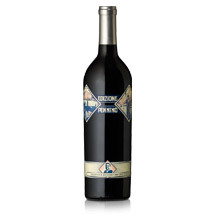 Edizione Pennino Zinfandel honors Francis Ford Coppola’s maternal grandfather, Francesco Pennino, a musical composer and lyricist. Two historic Zinfandel clones, Morisoli and Werle, complement each other in the creation of this unique wine with Morisoli lending structure, sweet fruit, and spice, in harmony with Werle’s inherent richness and dark fruit tones. The oldest Zinfandel blocks on the Inglenook estate – Cow Barn, Woodshed, and Carriage, planted in 1974 and 1978 – continue to provide the core of the Pennino blend. A winter with average rainfall, following four years of drought, provided ample soil moisture to kick off the 2016 growing season. Early spring was warm, triggering rapid, healthy canopy growth. Average late-spring temperatures and limited rainfall reduced the risk of frost during mid-May bloom, ensuring average yields. June closed with a heat spell, slowing vine canopy growth at the ideal time. The Zinfandel harvest began with the Gate blocks on September 2nd, followed by the older dry-farmed parcels on September 5th. The weather was moderate, producing intact berries with very little dehydration. Red garnet in color, the 2016 Edizione Pennino Zinfandel exhibits warm aromas of ripe, brambly blackberries, with notes of allspice, clove, and white pepper. The entry on the palate is opulent, yet fresh, yielding to dusty, well-textured tannins that carry the wine into a long, softly-rounded finish.